You can rely on our experienced staff for your blind cleaning needs, whether you purchased your product from us or from another store. We clean your window coverings professionally and in a timely manner. Call United Decorators to clean your draperies professionally without damage or shrinking and with minimal disruption to your home or business. Rely on our expert staff for your soft window treatment cleaning needs, whether you purchased your product from us or another store. 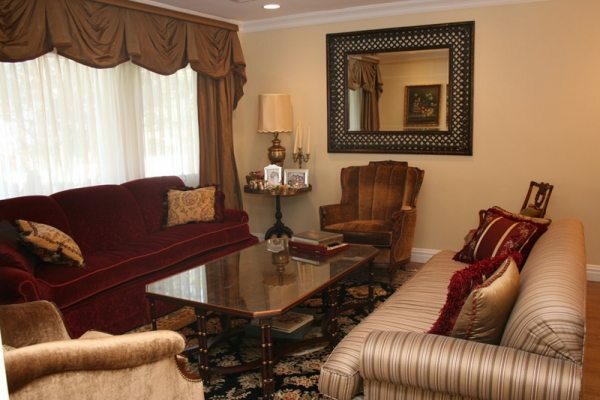 United Decorators has been in business in the Brooklyn, New York City and New Jersey areas over 40 years. Have your draperies cleaned by true professionals. Your window drapery will be cleaned correctly the first time, every time! Ready To Experience The United Decorator’s Difference? 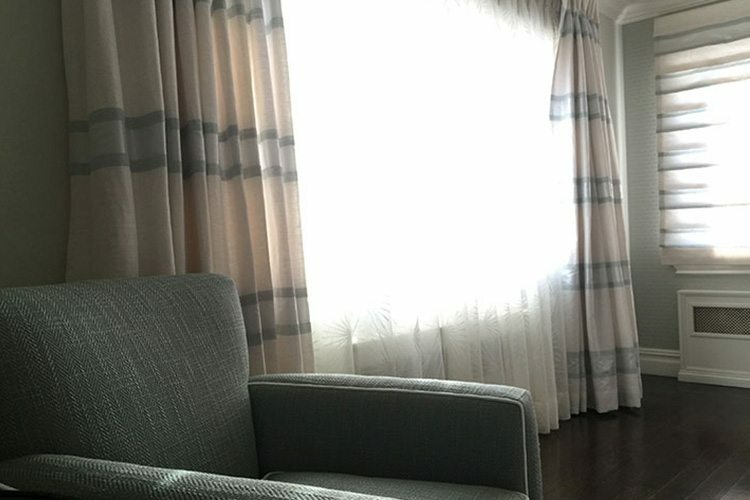 Click Below To Schedule Your Professional Blind & Drapery Cleaning! Looking for an interior designer to help you decorate or design your home or office space. United Decorators works with you one-on-one to create the best interior designs to compliment your personal taste and lifestyle. Expert Interior Designers can help guide you on making the right interior design decisions based on your existing or new decor. United Decorators listens closely to your needs and works within your budget. Whether it’s a small one-time project or a complete redesign for your home or office, United Decorators will be there with you every step of the way! We offer a full line of interior design services, including basic color choices, design and fabrication of custom treatments, furniture placement, and assistance with purchasing furniture and accessories. Visit our Showroom: A visit to our showroom is the best place to start, especially if you’re looking for new window treatments. 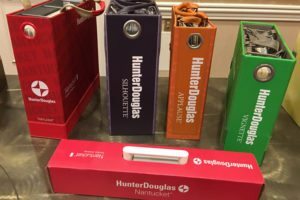 We display the latest and most innovative products, including the best blinds, shades and shutters from Hunter Douglas. Browse through the United Decorators showroom to see life-size Hunter Douglas window fashions on display. Look through our luxurious samples of fabrics for your next drapery or upholstery project. The colors, textures and patterns will truly expire you. Visit United Decorators to get inspiration for your next interior design project. Shop at Home Services: We offer a free shop at home service. Are you deciding on how to cover your windows or if it’s worth upholstering that sentimental piece of furniture? Make an appointment with United Decorators to measure your windows and select window treatments in the comfort of your own home. If you are considering a reupholstery project for dining chairs, a sofa, couch, loveseat or ottoman, United Decorators will present the best options. Your existing furniture may be worth the investment of upholstery. You can view fabrics samples in your home or office environment to make sure the colors and design elements match your decor perfectly. Your windows can be covered beautifully and your furniture can look brand new again with handcrafted upholstery work done on premises at United Decorators. We schedule an in-home appointment before an order is placed to take exact measurements and review selections. United Decorators places an emphasis on your overall room setting when selecting new interior design products for your home or office. 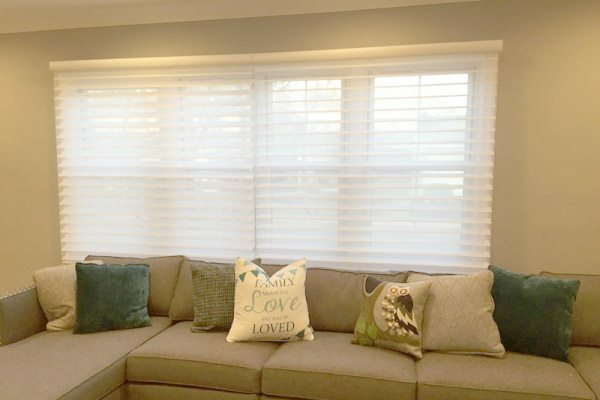 Whether you’re choosing fabric for draperies or upholstery or new window blinds, shades or shutters, United Decorators takes into consideration lighting, paint, flooring, furniture and design accessories to coordinate the entire look of your space. United Decorators professionally measures your windows to ensure a perfect fit. 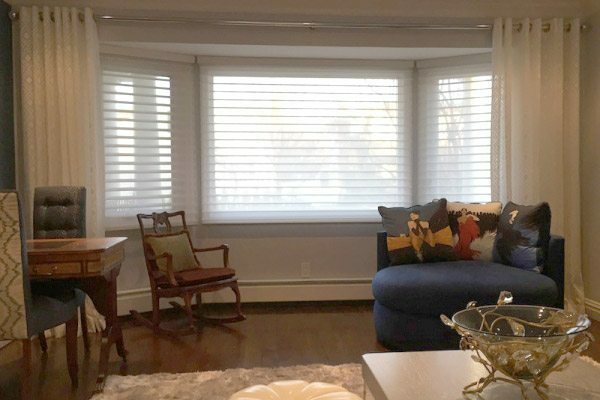 When you buy new window treatments, certified installers make sure your new custom window treatments fit and function as they are intended to. Expert measuring and installation is necessary, especially for inside mount situations, uneven window frames and hard, fitted products such as shutters. Leave your window coverings to the experts at United Decorators. Professional installers are responsible to make sure your window treatments fit perfectly and operate smoothly. 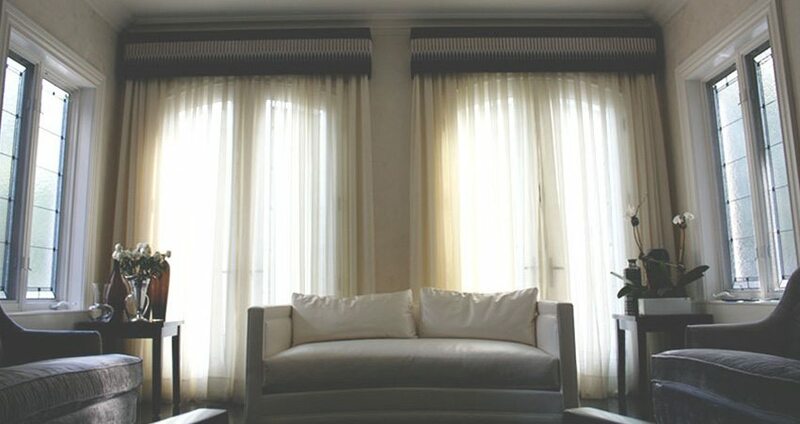 Time Frame: Custom orders for blinds, shades, drapes, and fabric treatments take 2 to 4 weeks once an order is placed. Interior shutters typically take 6 to 8 weeks. Once your order arrives, United Decorators,will call to schedule your installation appointment. Flexible appointment times are available for special needs. United Decorators works hard to accommodate your request. Installation Day: Please clear the surrounding areas of your windows. Remove delicate and valuable items away from the installation area. United Decorators takes down your old window treatments and either disposes of them or moves them to another room at your request. Window treatment installers clean up and dispose all trash, including boxes and other debris. A demonstration of how to operate your brand new window treatments is performed with you at your home or office.